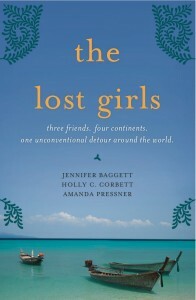 Congrats to the fine ladies over at LostGirlsWorld.com who just released their very own book today, The Lost Girls: Three Friends. Four Continents. One Unconventional Detour Around the World. You can buy the book here, or check out their spread in USA Today here — complete with an accompanying photo of the girls lounging on rocks in Central Park (I think you can get a ticket for doing that, I’m just saying). Hey look, isn’t that David Farley, friend of TheExpeditioner.com giving a killer quote for the book over at the “Editorial Reviews” section of Amazon.com?